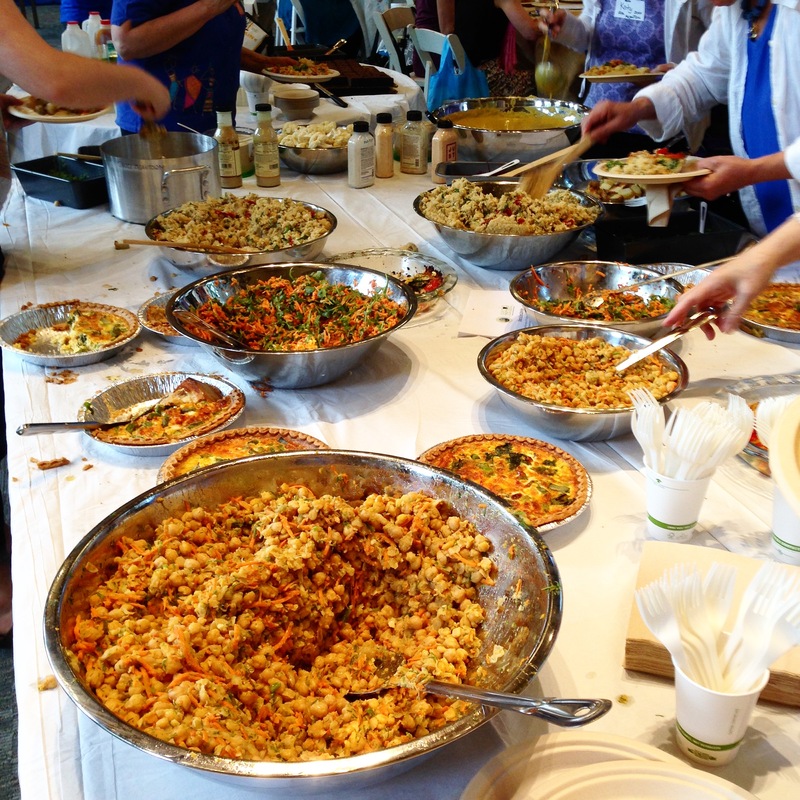 Our Shuk dinner was only possible with the help of a lot of people power! Here are the recipes from our feast. We adapted many of them, feel free to experiment, and please let us know if you use them. Combine all ingredients in a large saucepan over low heat. Cook for an hour or so until flavors are well developed. Refrigerate and eat when cool. Combine all ingredients in blender. Puree at the highest speed, adding more water if necessary to completely combine all ingredients.